Hey Everyone! So as you all know I am currently in Majorca training for a job with Thomas Cook. I do apologize for not blogging but until the end of next week I won't be able to do beauty reviews or anything as I am super busy. I start super early in the morning and finish super late at night so I hope you can understand. Don't worry though, I did buy a range of products with me and I have spotted a few beauty bits in the shops around Majorca so you will have a lot of posts coming up soon! I finish my training next Thursday and Friday I will hopefully be in Turkey if I successfully pass this course. I really do miss blogging but I'm sure you all know that what I do with my life is more important than what I do online. It is still my passion and I haven't given it up I promise! Majorca is beautiful though, the hotel is lovely, the staff training us are all super lovely, my potential colleagues are amazing and so lively and are so easy to get along with, the weather is absolutely beautiful as well so I am really enjoying myself right now. I look forward to the day when I am finally working in Turkey doing what I am training to do which is to be a Kids Rep. Hard work but it will be incredibly rewarding and I have already made friends I know I will have for a very long time. Before I get back to revising for a quiz I have tomorrow, I will leave you with a picture of my view from my balcony. I am staying at the Hotel Mimosa in Majorca if you are interested. It is a beautiful view! I shall keep you updated throughout the week but I thought it would be rude to not update you (you might not even care) on what I have been up too! So leave comments on anything you would like to know (training is confidential so no information can be given out about that) but if you are perhaps interested in a kids rep position and would like to know more then leave a comment below and I will get back to you! Follow me on instagram which is xbellefleurx where I'll post photos when throughout training and I'll speak to you next week! Hiya, wonderful post! 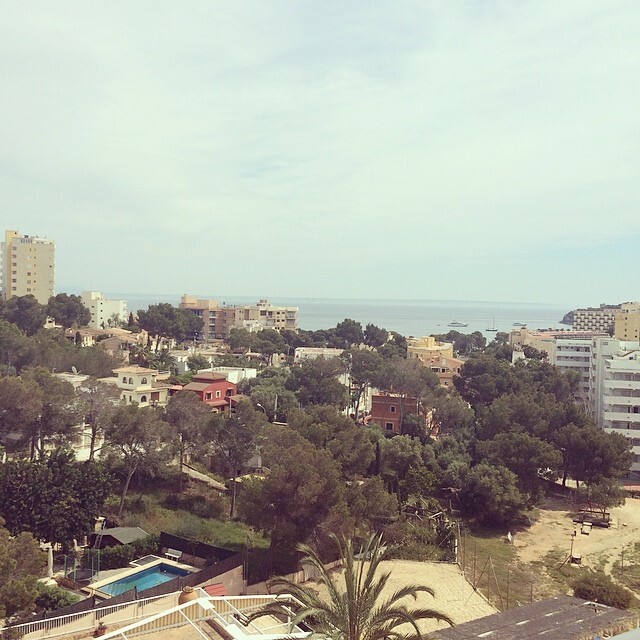 Your blog is really nice :) Have a nice time in Majorca!